Managing Director and lead trainer of Fusion Consulting. Author, motivational speaker, passionate philanthropist, business owner and a private consultant. Former Miss World Franchise owner and a former Miss Jamaica Body Beautiful. Laura Butler, Managing Director and lead trainer of Fusion Consulting, has over 20 years of experience in the field of Business Consulting, Human Resources and Training and 15 years in sports management & youth development. She lectures at a number of universities and has been invited to speak at events in over 15 countries. She is an author, motivational speaker, passionate philanthropist, business owner and a private consultant to a number of leaders in the USA, Europe, Canada and the wider Caribbean. She is a former Miss World Franchise owner who broke barriers, gained international recognition and transformed lives while promoting nation building. She is the Best You Legacy Club Director for Dallas and has worked with multiple startups, small businesses and Fortune 500 corporations. She is the co-founder of a non-profit, born 15 years ago that’s designed to better prepare young people for the world of work. She is a certified SCORE mentor for the Dallas Chamber of Commerce ‘Irving Chapter’ and a member of the Worldwide Association of Female Professionals (WAOFP). She has been anewspaper columnist and editorial contributor for over a decade for leading publications in Jamaica, such as ‘The Jamaica Gleaner’ and award-winning magazines. She has been a regular guest on a variety of radio and TV programs. A former Board Member of the Consumer Affairs Commission and The Small Business Association of Jamaica. She has been working with some of the leading companies in Jamaica and abroad, servicing a diverse clientele influencing the growth of companies and employees in the areas of Finance, Insurance, Tourism, Government, Manufacturing, Publishers, Distribution, Telecommunications, Technology, Education, Sports, Auditing and Law. 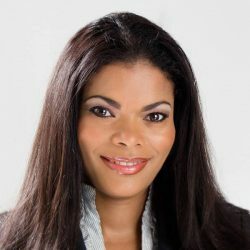 Laura has worked with the Poverty Reduction Program, which is an initiative with the European Union, Jamaican Government and the Jamaica Social Investment Fund. She also served as a director on the Consumer Affairs Commission (CAC) and the Small Business Association of Jamaica (SBAJ), where she helped to create the first legal department, was instrumental in the implementation of programs to help prepare and protect the rights of the citizens of Jamaica as well as assisted to create job opportunities, secure funding and provide business support to small and micro businesses island wide. She works closely with Merrick Needham, Jamaica’s principal logistic, ceremonial and protocol consultant to provide the highest level of training. She has also worked with the Jamaica Employers Federation, where she assisted with the development and implementation of employee-based training programs nationwide. Laura lectures at the Norman Manley Law School, The University of the West Indies and The University of Technology. She also serves as a consultant to the University of the Commonwealth Caribbean (UCC). She works closely with a number of organizations including Special Needs/Olympics,UNICEF, UNAIDS, Bureau of Women’s Affairs Jamaica, Cancer Society, Shashamane Sunrise Group, Jamaica Environmental Trust and the Heart Foundation to raise funds, influence policies, increase awareness in health, environmental conservation, education, special needs and children’s rights. She has also been very instrumental in the development of athletes through Phoenix All Stars Football Academy and has seen international success through players such as Leon Bailey- Bayer Leverkusen Germany, Kevaughn Atkinson-St Andrew FC Malta and Special Olympics Gold Medalist Kirk Wint. She lives by Mahatma Gandhi’s quote ‘You must be the change you wish to see in the world’.